The first ever Christmas Tree festival is taking part in Brierley Hill from Saturday 7th – Sunday 15th December 2013. St Michael’s Church are asking individuals and organisations to loan them a Christmas tree (2’-6’) decorated to reflect their activity. Novelty and humour – in keeping with the setting – are very much welcomed. 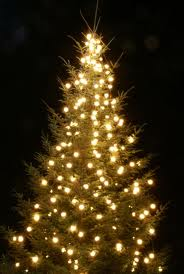 Trees can be installed on Wednesday 4th December (10am-4pm) or Thursday 5th December (noon-7pm).